This might be the only airline I blog about twice. My fascination and love for Iceland began before I ever set foot on the land, and that’s all thanks to Iceland Air. Five years ago I blogged about Iceland Air and the amazing Icelandic candy bars I had on the plane and I haven’t stopped thinking about it ever since. 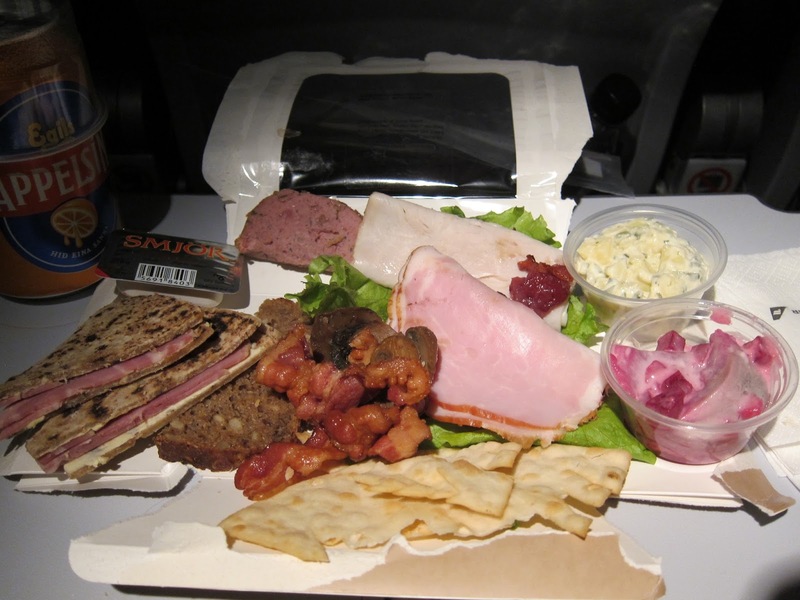 Now, before I get into food, I should mention that there are some other notable differences on the plane. A safety video without an airplane. Iceland Air advertises it’s country to you at every opportunity. 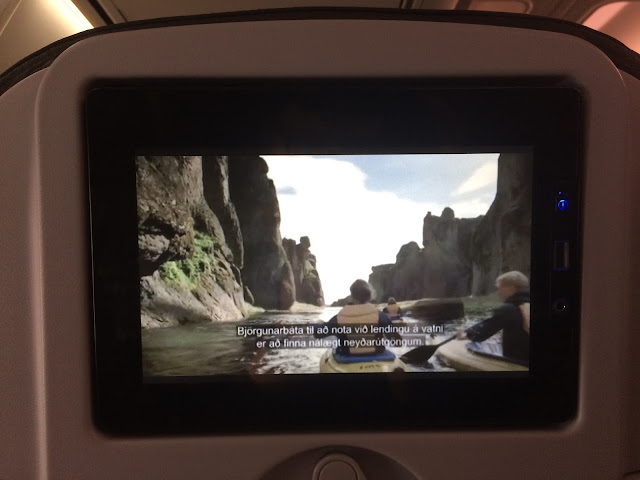 They even use their safety video to feature their county’s amazing geography and outdoor opportunities. 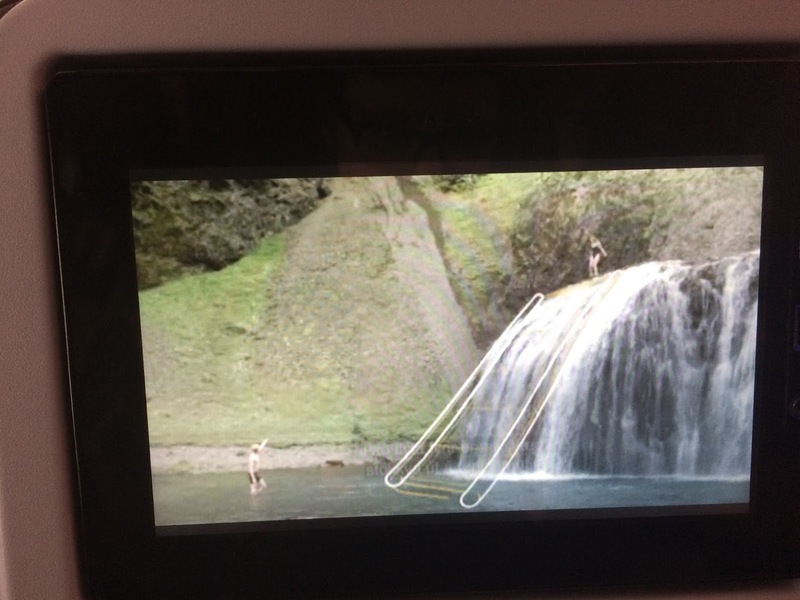 Honestly, for someone with flight anxiety, it was calming to watch a safety video with the same standard instruction, overlaid with images of the aurora and waterfalls. It made me feel like I wasn’t actually on a plane. 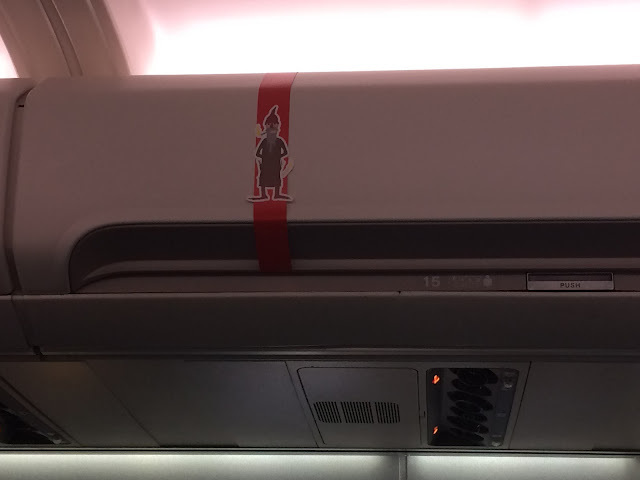 Each of the overhead compartments are guarded by elves. I don’t know if that’s lucky or just by design. I’m one of those people that almost always cannot stomach food on an airplane. 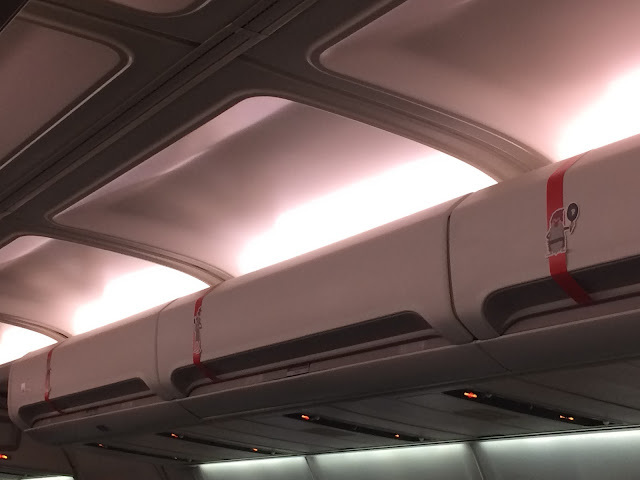 Not only are those meal trays disgusting, but the general experience of being in that circulating air makes me feel sick, so I usually never eat anything but a few dry snacks on a plane. For Iceland Air I made an exception: I knew I wanted their Icelandic chocolate bars again, but this time when I saw their gorgeous new menu of offerings, I ended up eating everything they had. 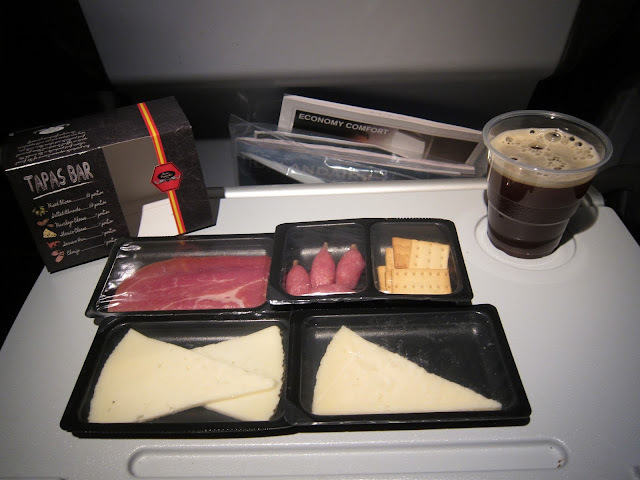 On the way from Seattle to Reykjavik I ordered the Tapas Bar, which consist of two Spanish cheese (Manchego and something else), prosciutto, salami, and crackers. The meats and cheese were of exquisite quality, comparable to the finest I’ve purchased from local markets. The drink in the picture is called Malt-Applesin, which is one part malt soda and one part Applesin soda, an sweet, malty, creamy, frothy, delicious holiday mix. 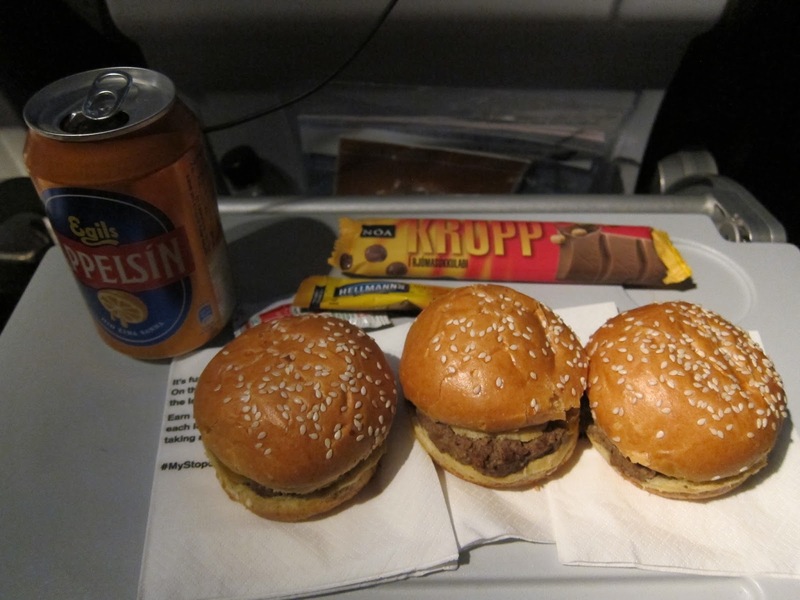 My partner ordered three mini cheeseburgers which were hot and tasty, as well as an Applesin (which by itself tastes like Orange soda), and a Kropp bar, which I ate most of. 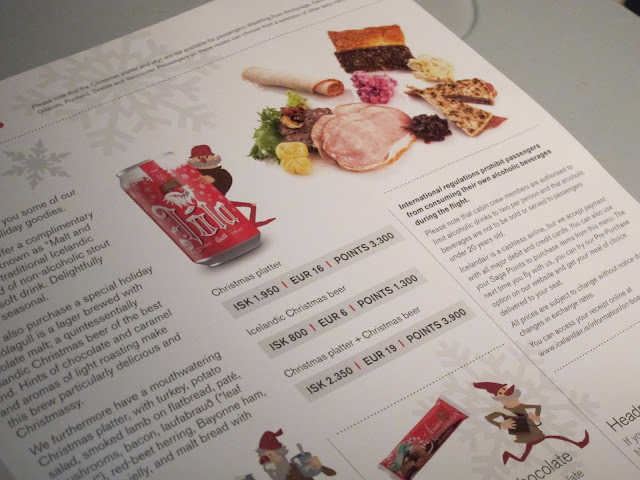 The whole way to Iceland I had my eyes on the Christmas feast special, but it was only available on flights from Iceland, so I had to wait until the end of my trip to try it. 2 kinds of fish, 5 kinds of meats, 3 breads, butters, and jelly. It was excellent and expensive, but worth every krona.